Empower Your Life Easily With Spiritual Laws! I’m on a roll and I want to take you with me…I’ve learned a lot in my life and I think the time is now for me to share it! It’s the tidbits, the little and big things that I find that make my life so much easier, happier and can help me when my days are not all sunshine and rainbows or when I need a little pick me up! I was talking with BAngel recently and I was telling her about a book that I am re-reading for perhaps the 8th time. It’s easy reading…a pick up and put down book that will delight you, will make you think (but not too hard) and will easily change your perspective! KAngel gave me the book years ago and I was quickly taken with it. In fact, it’s one that I reread on a regular basis, much like many reread the Secret. Have you read the Secret? It came out back in 2006 in case you missed it! It’s an easy read and there’s even a dvd for it as well as other books. 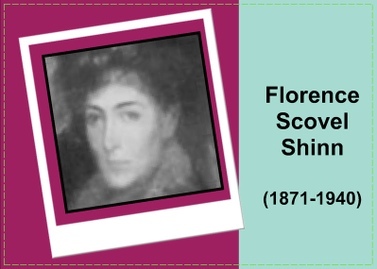 However, I’m going back to 1925…long before the popular Secret ~ to a time when a woman who was an artist and an metaphysics teacher in New York named Florence Scovel Shinn wrote 4 amazing books. She had the ability to explain her success principles and how they worked in an entertaining and easy-to-read manner. By sharing real-life stories she illustrated how positive attitudes and affirmations invariably succeed in making you a “winner” in life and able to control life’s conditions and release abundance through a knowledge of spiritual law. Florence had quite the following back in her hey day! In 1925, Florence published “The Game of Life and How to Play It” herself because she didn’t have a publisher at the time. Her next book, “Your Word is Your Wand” was published in 1928. “The Secret Door to Success” was published in 1940 shortly before her death. The “Power of the Spoken Word” is a compendium of her notes, gathered by a student and published posthumously in 1945. All 4 books are a wonderful reminder that YOU CAN EMPOWER YOUR LIFE! So join me ~ for some old time favorites which will change your life in ways you never imagined! Pingback: What is The Game of Life?